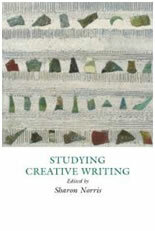 Studying Creative Writing is the fourth in an international series of books entitled Creative Writing Studies. It is aimed at prospective and current students and those who teach writing in higher education. The book is structured into eleven chapters, each authored by a different teacher-writer. At first glance, the title of this text makes it seem relevant to a very narrow audience. Upon reading, however, it becomes evident that the book is of interest and use to those studying, teaching, and/or practicing writing before, during or after tertiary education. The book opens with Sharon Norris ostensibly discussing what students can expect of a creative writing degree. Norris’ chapter, however, reads more as a defence of creative writing’s relevance and worth ‘in a time of uncertainty’ (2). Whilst this is understandable – for writing is often dismissed as a ‘soft’ humanity with no clear career outcome – it seems unfortunate that such a positive book should start in this tone. Perhaps Norris’ defence is aimed at prospective students who may struggle to justify their choice of study to themselves, peers and family. Perhaps it is aimed at competing disciplines that get more funding and respect in the current economic climate. Whatever the reason, the authors of this book can be confident that its substantial and diverse content shows what a valuable discipline creative writing is. Readers will relate to different chapters in this book at different stages of their study or career: this is a good thing. Novices will appreciate Ally Chisolm’s chapter on what students can expect from a degree in terms of skills and activities, and many writers will benefit from Lorna Fergusson’s discussion of when a student should partake in such uncensored activities as pre-writing. Her chapter explores how such things as free-writing, mind-mapping, listening, journaling and playing can help a writer identify projects and practices that are meaningful, substantial and sustainable (38). Fergusson offers strategies to combat pitfalls like procrastination: ‘Writers are very talented when it comes to the art of displacement activity!’ (53), and emphasises how pre-writing must always lead to commitment: ‘Don’t skip about the surface of things. There comes a time when you need to say, “This is the project I choose”’ (54). Jennifer Young’s chapter discusses the moment where the products of students’ pre-writing are often tested for the first time: workshopping. This chapter explains the roles, expectations and courtesies of this most notorious, crucial and intimidating aspect of creative writing courses, showing how workshopping helps writers meet like-minded souls, whilst forcing them to produce and develop a good amount of work (69). Spencer Jordan’s chapter on editing and drafting, and Shawn Shiflett’s chapter on the importance of reading, remind students that published works mask the ‘agony’ of redrafting that created them (Jordan 88). They note how a good author is a writer, reader, and editor all in one (88-90), and illustrate how careful reading teaches the novice that writing is the product of a creative process, not a divine act (36). Jordan advises on how to identify good readers for your work, how to use them proactively and what kinds of editing is required at different stages of a project, while Shifflet gives very detailed examples of how a reader-writer can analytically approach published texts as opportunities to learn the ‘how’ behind the ‘what’ of writing (22). Norris’ second chapter in this collection looks at how reflective and reflexive activity is integral to the act of writing, requiring the writer to think about their work in relation to ‘another’ (including their self as ‘other’) and to thus be open to development and change (127). Nabila Jameel’s chapter on performance calls all writers to recognise that ‘writing is a business’ and orders writers to be proactive in drawing attention to their work. This chapter shows how performance not only helps a writer expose their work, but gives them a chance to get feedback, thicken their skin, and enjoy the ‘buzz’ of connecting with readers (105). Curiously, Shiflett’s chapter does not appear alongside these three chapters on reading, exposing and developing work. Instead, Shiflett’s precedes Fergusson’s chapter on pre-writing at the beginning of the book: this is an odd choice as novice writers are more likely to be already engaged in, and thus able to relate to, pre-writing activities rather than heavy literary analysis. Helen Kidd, Elizabeth Reeder and Sally O’Reilly’s chapters explore the nuts and bolts of creative writing as a degree course. Kidd’s chapter on assessment is useful for those who have never studied at a tertiary level, and for those setting up courses of study for others. Reeder puts a positive spin on how computer technologies are an intrinsic part of higher education, arguing that net-based technologies force writers to express themselves clearly, be sensitive to readers and reading contexts, be economic with words and to write engagingly (84-86). O’Reilly’s chapter completes the collection, discussing how students can lay the foundations of their careers whilst they study, and the longer terms issues of staying motivated, getting published and supporting writing financially. Studying Creative Writing reveals the complexity, rigour and benefits of becoming a writer through higher education. This book shows how learning to read and write in a creative and critical manner, in a structured and supportive environment, not only develops professional writers, but people who are not only multiskilled but have explored the fundamental questions of who they are and what they think about life (3). Whilst this book is clearly most relevant to teachers and current or future students of creative writing, practising writers may find it a useful resource at specific moments in their career or on a particular project. Despite its defensive opening, and despite how the chapters sometimes seem illogically ordered, this book offers a rich and varied introduction to what is a rich and varied field of study. Helen Gildfind lives in Melbourne and has had short stories, book reviews, essays and poetry published in Australia and overseas. Her short story collection, Gently, Gently, will be published by Spineless Wonders in 2015.